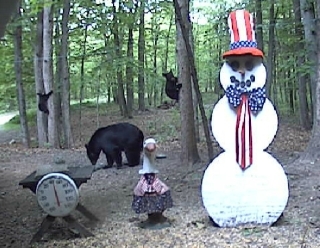 All dates for the bear contest have been selected. 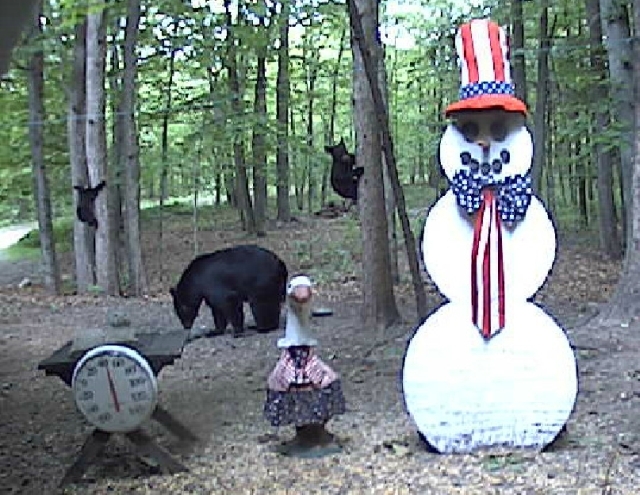 Now we just watch to see when the first bear of 2019 will appear on cam. Good luck to everyone that made a guess. Thank you to the following people for your generous donations. Click Here to Shop at eBay. 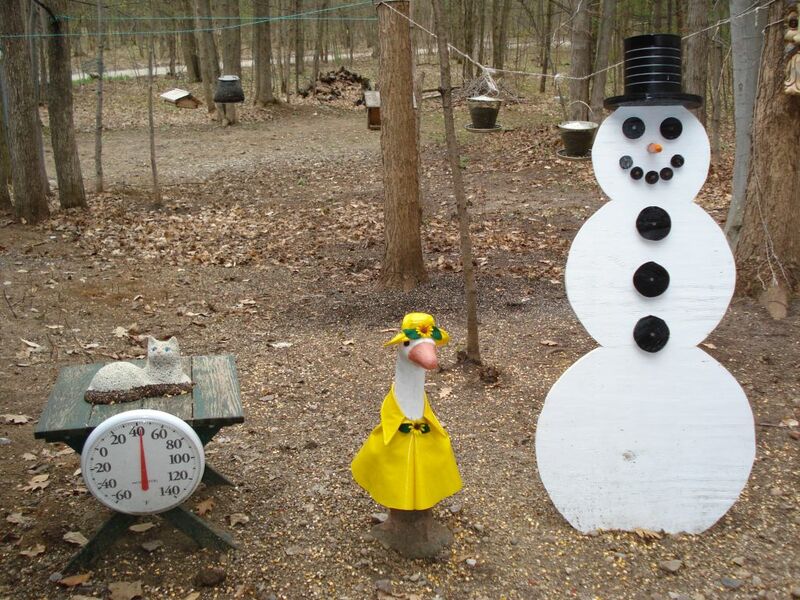 You are watching the original Snowman Cam located in Gaylord Michigan, one hour south of the Mackinac Bridge. Although Winter is when most people view the cams, you will also see other interesting activity on the webcam during the rest of the year. 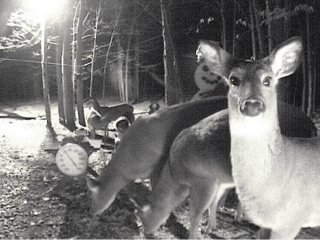 Deer, turkeys, fox, coyotes, raccoons, black bear, flying squirrels, porcupines and other wildlife can be viewed in live motion video wandering through the woods of northern Michigan. 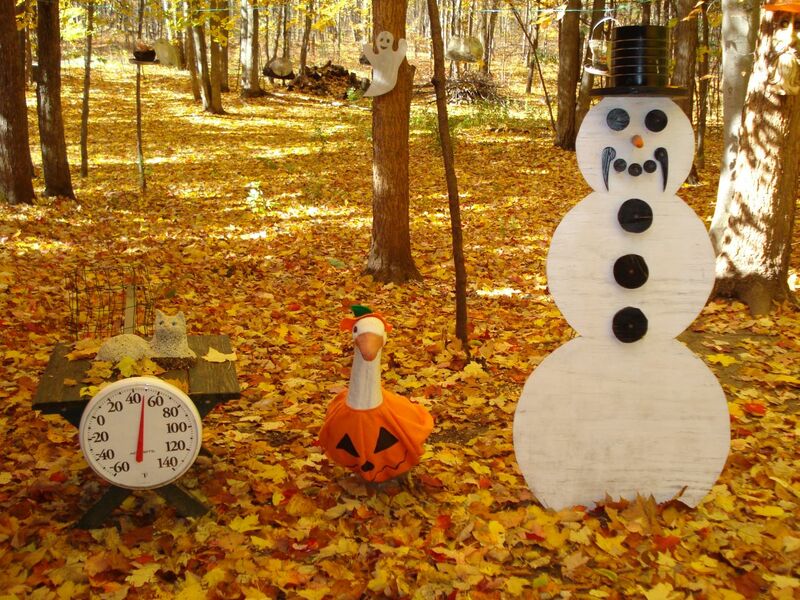 The Snowman Cam has been featured at ABC News, MSNBC, USA TODAY, Reuters, Honolulu Advertiser, TV Ch 9 Tampa FL, WOOD-TV Grand Rapids MI, Ludington Daily News, Ludington MI., The Daily News Greenville MI. , Herald Times Gaylord MI, the Traverse City Record Eagle, FOX 33 News Cadillac Michigan, Detroit Free Press, Fox 5 Parkersburg West Virginia/Marietta Ohio, WFTV TV-9 Orlando Florida, The Southern Southern Illinois and American Profile Magazine. 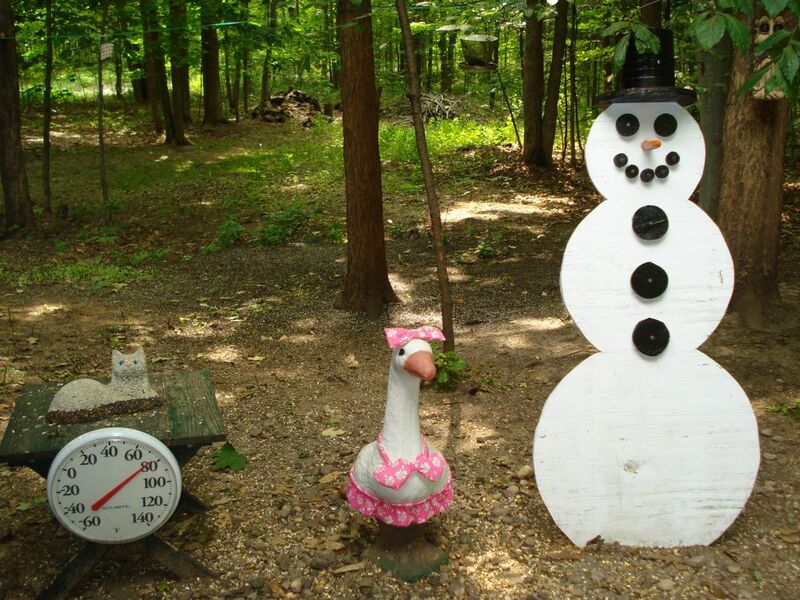 Watch live video archives of the Snowman Cam. Watch a time lapse video of the past 24 hours. You can start, stop, fast forward, rewind, and pause the video, just like with your VCR. If you see something interesting please post it in the "Hall of Fame" or e-mail it to us. 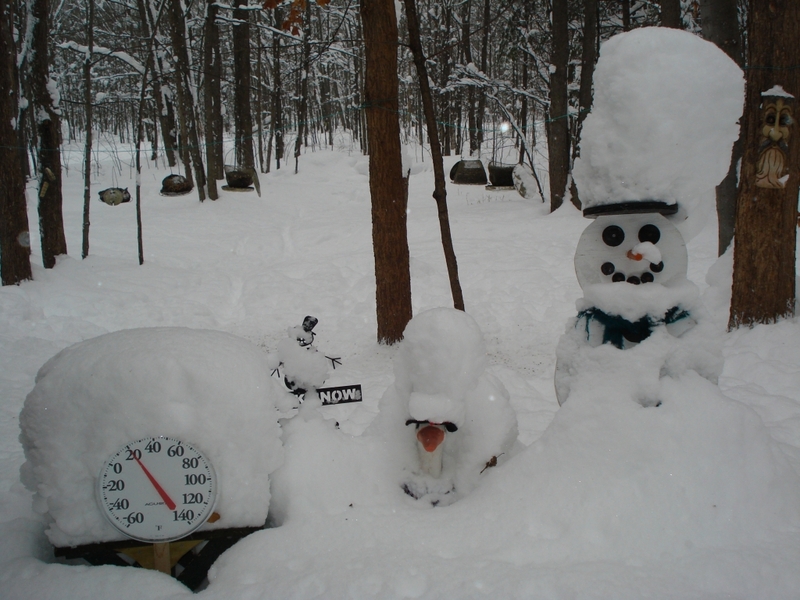 The Gaylord Michigan Snowman Cam is honored and humbled to have won both of EarthCam's top awards; 25 Most Interesting Webcam for 2017, 25 Most Interesting Webcams for 2006 and Top 10 Cams for June 2007. The live motion streaming video webcam is an EarthCam Network All Weather IP Cam. The camera is equipped with a Pentax lens and progressive scan CCD (non-interlaced) image sensor with a 3mm - 8mm auto iris lens. The standard lens can be replaced with any CS mount or C mount (with C/CS ring) lens. The camera is mounted in an all weather enclosure equipped with a fan and heater. The camera is connected to a Linksys router which is connected to the Internet via DSL modem. View all EarthCam IP Cam details and web cam specs.